As members of the 8th Senate resumes plenary at the National Assembly today, Tuesday, 26th September, INEC will serve Senator Dino Melaye, the documents containing the notice of his recall process. 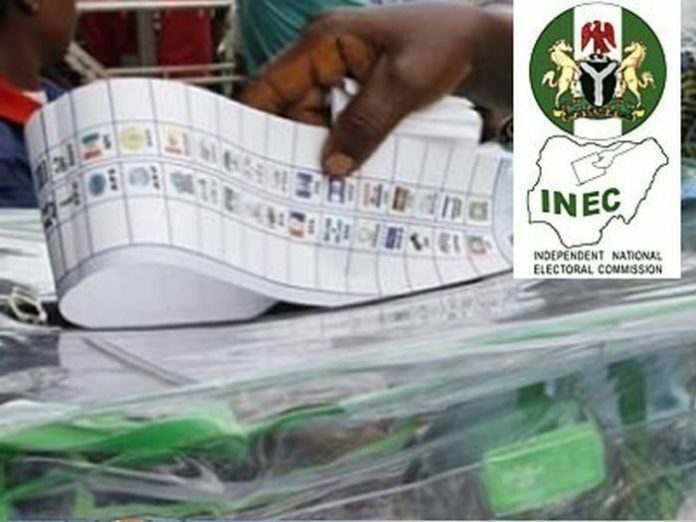 The Independent National Electoral Commission (INEC) will today, at the National Assembly, serve the Senator representing Kogi west senatorial district, Dino Melaye, the documents containing the notice of his recall process. A Federal High Court sitting in Abuja, recently dismissed the suit Melaye filed, challenging the validity of a process by his constituents to recall him, and ordered the commission to proceed with the recall process. The judgment brought an end to an exparte order made by another judge of the Federal High Court in Abuja, Justice John Tsoho, which directed parties to maintain status quo. While speaking to Daily Sun on the plan to serve him, Rotimi Oyekanmi, the Chief Press Secretary of the INEC chairman, Prof Mahmoud Yakubu, recounted the ordeal the commission had gone through in trying to issue Melaye the notice. “We went to court and the judgement was that we should serve Dino with the petition and the accompanying material. Since that time, we have made a number of attempts to serve him with those documents, but those attempts have not yielded any fruit. “The last was last year when we went to his residence and those living in that house chased our team away with weapons, to the extent that they had to retreat. Tomorrow (today), precisely by 10:00am, INEC intend to serve him the document in his office at the National Assembly,” he said. Melaye, yesterday, gave a deadly blow to his recall process by the INEC on account of petitions received for that purpose from some registered voters from his senatorial district. The Senator, who addressed newsmen on the lingering process, said based on provisions of section 69(b) of the 1999 constitution as amended, 90 days durations specified for such exercise has passed since the process started on June 23, 2017. “The petition is, thereafter, in a referendum, conducted by INEC within 90 days of the date of receipt of the petition, approved by a simple majority of the voters of the persons registered to vote in that member’s constituency,” he said. He specifically alleged that the State Governor, Yahaya Bello and Senator Smart Adeyemi were behind the recall process based on petition signed by only three persons in flagrant violation of constitutional provisions for that purpose. He added that the whole process would hit the brick wall in the face of the law as he had appealed a judgement he claimed, was fraudulently obtained by INEC and its sponsors. “I celebrate the obituary of the ‘Made-in-Taiwan’ recall exercise, while sympathising with the induced petitioners who will obviously face forgery and other criminal charges before a court of law very soon,” Melaye said.